A Five-day tour package by cruise to the islands of Kavaratti, Minicoy and Kalpeni by ship- M.V Kavaratti is known as Lakshadweep Samudaram, which is a fix departure package, starts from Kochi. It has 150 Diamond class accommodations. It also has doctor on call, cafeteria, snack bars, entertainments and upper-deck promenade. The facilities include three independent galleys, halls, recreation place with a swimming pool and a helipad. Children from 1 year and above up to 10 years will be treated as child. The island tour is organized during the day with refreshments and lunch ashore. Nights are spent on board the ship. Swimming, snorkeling and other water sports are arranged besides sight-seeing, folk dances and other entertainment during the day tour. On the departure date passengers are requested to reach Lakshadweep Wharf and Passenger facilitation center, Kochi by 10 a.m. Every Passenger including children has to carry their photo id cards. Please be patient while in queue for check in. After the security check in you will be transported by bus to Wharf and board to MV Kavarathi. A short video depicting the various facilities available on board the ship and about the rules and regulations to be followed by the tourists on board for their own safety and for the safety of co-passengers is screened; lunch and dinner will be served on board M.V Kavaratti. Ship departs Kochi after the completion of MMT Survey around 2 p.m. The Ship will reach Minicoy Island early in the morning. Minicoy is said to the most beautiful of all the Lakshadweep Islands. Due to its geographical closeness to Maldives, Minicoy gives you the feel of being in Maldives. 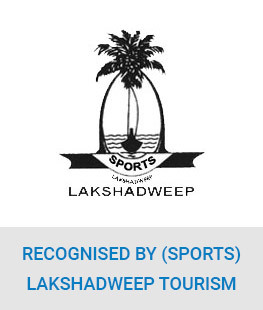 If you look at Lakshadweep in the map, you will notice that Minicoy is a single dot quite far from the cluster of Lakshadweep Islands. It is located between 8° 17° North Latitudes and 73° 04° East Longitudes, 398 km away from Kochi. It is isolated from the main group of islands. Minicoy is 10.6 km long and is the second largest island. It has one of the largest lagoons with a small uninhabited islet Viringili on its south has a village beautifully maintained and decorated. Lava is the traditional dance performed on festive occasions. Colorful race boats called "Jahadhoni" are a feast to the eye of any tourist. A large number of men from this island are employed as sea men in ships all over the world. People in Minicoy speak the same language as Maldives whereas rest of the islands of Lakshadweep speaks a mixture of Malayalam, Tamil & Urdu. Minicoy is an important center for tuna fishing and a tuna-canning factory on the island processes the catch. A 300-foot tall lighthouse built in 1885 by the British is a majestic landmark. The lighthouse offers some breathtaking views of the island from the top. Every inch of the island is covered with coconut grooves and you can see the blue sea along with the vast horizon. The beaches have huts with changing rooms and facilities for water sports. After breakfast proceed to Minicoy by Pablo boat, nonstop entertainment ashore in Minicoy island like swimming, snorkeling, kayaking, glass boating, sightseeing and diving. Lunch will be served in the beach buffet. After lunch Folk dance will be arrange and followed by evening tea Departure time to ship and move to Next Island. Dinner on board. Ship will reach Kalpeni Island early in the morning. It is located between 10° 05° North Latitudes and 73° 39°East Longitudes and is 287 km from Kochi. Also known as Koefaini, Kalpeni islands is a group of three islands and is one of the most picturesque areas of Lakshadweep. Cheriyam, Pitti and Tillakkam are the islands which together forms the Kalpeni islands. These islands are inhabited and are frequently visited by tourists. A peculiar feature of Kalpeni is a huge storm bank of coral debris along its eastern and southeastern shorelines. Beautiful lagoon surrounding the island and is rich in coral life. Ship will reach Kalpeni Island school. This is also a great spot to enjoy water sports including Scuba Diving, Snorkeling, Reef walking, canoeing, kayaking and sailing yachts. At Koomel Beach, the huts with changing rooms for bathing are available. A nonstop entertainment ashore in Kalpeni Island. Lunch will be served followed by Folk dance will be performed at 15:30. Evening tea, Departure time at 19:30, 20:30 Dinner on board. Early morning Ship reaches Kavaratti Island. It is located between 10° 33° North Latitudes and 72° 38°East Longitudes. 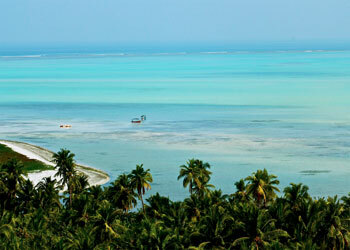 Kavaratti Island is one of the most beautiful gems from the Lakshadweep group of islands. It lies 360 km from the shores of Kochi. It doesn't have its airport and Agatti is the nearest airport to the island. Spread across an area of 3.93 sq km, Kavaratti is a small island but there is no dearth of natural beauty at the islands. The island is a home to 12 atolls, five submerged banks, and three coral reefs. The spectacular views of the Arabian sea, the sparkling white-sand beaches offers solace amidst the tranquil nature. The beaches are laden with the swinging coconut trees, and once you take a dip inside the vast expanse, you can witness the abundant marine life of the island. Kavaratti is best known for its beautiful sceneries and the enthralling water sports. The beautiful and calm lagoon offers an ideal spot for water sports, swimming and snorkeling. Sunbathing or just lazing around on the beach can be a heady experience. Marine life enthusiasts can visit the marine aquarium, which has an excellent collection of aquatic specimens. The underwater life in the lagoons can be seen through glass-bottomed boats. Kayaks, wind surfers, water skiing and sailing boats are available. The Dolphin Dive Centre is attractions for those who love scuba dive. After breakfast around 8:30 AM proceed to Kavaratti by boat. A nonstop entertainment ashore in Kavaratti Island. Lunch will be served in the beach buffet followed by Folk dance will be performed, Evening tea will be served and evening Depart. In the morning after having breakfast, around 1:00 P.M the ship will reach Kochi, disembarkation to Kochi, take your bus waiting at the wharf that will drop you at the Passenger reporting center. Daily breakfast, lunch, evening tea & dinner. Transfer by bus from boarding point at Kochi to ship. Snorkelling which costs Rs.300 per hour extra. Under water scuba diving costs Rs. 2000 per dive with equipment's and trained dive master. Any other service which is not covered under inclusions. While Planning: While planning your travel itinerary do provide a day at Kochi, both on the way to Lakshadweep and on the way back. Ship programs/Itineraries are subjected to change without prior notice due to unforeseen reasons. Onboard the ship: - A short video depicting the various facilities available on board the ship and about the rules and regulations to be followed by the tourists on board for their own safety and for the safety of co-passengers is screened. A film is shown to the tourist giving a brief history of Lakshadweep, its environment, the coral reefs and its management. Avoid usage of plastic on the islands. Please carry sunscreen lotion, umbrellas, caps, etc. as it may be very hot. Carry a first-aid kit as per your family's requirements. Do not litter the land or the water. Do not pick up/ pluck corals as souvenirs. It is a punishable offense. Do not use alcoholic drinks, intoxicants while on the islands or on the ship. Do not pluck tender coconuts yourself as unauthorized plucking of coconuts is a theft. Adventure & Entertainment Ashore: The activities include water sports, shore excursions and entertainments that include cultural activities and folk dances in different islands. 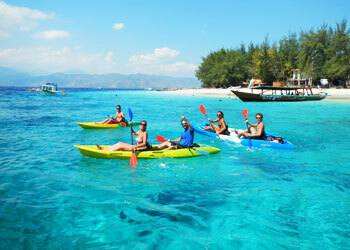 , snorkelling, Swimming, boating and other water sports is arranged during the day tour. Museum and Mosques, Marine Aquarium at Kavaratti are some of the attractions. The small islets Pitti, Tilakkam and Cheriyam at Kalpeni, At Minicoy tourists can visit Village Houses, Lighthouse built in 1885 and Tuna Canning Factory. A 300-foot tall lighthouse built by the British is a majestic landmark. The lighthouse offers some breath-taking views of the island from the top. Every inch of the island is covered with coconut grooves and you can see the blue sea along with the vast horizon, the tourists will be taken for a long drive through dense coconut groves and winding village roads. A scanned copy of Passport and Indian Tourist Visa has to be submitted along with the details for inner line permit for at least 20 days before the travel date. 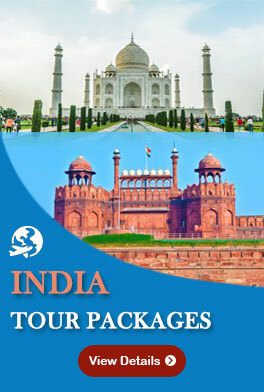 The Samudram Package is available for Indian as well as Foreign Nationals. LTC: -Tourists availing LTC may collect LTC certificate from Tour Manager on board at the time of return journey or from 'SPORTS' office. (Transport and tour change bifurcation is given in the tariff chart). GST is applicable @ 5% for all the packages.